The Lady Panthers sit atop the leaderboard at the halfway mark of the meet. Congratulations to the ladies Swimming and Diving team in winning their 3rd straight C-USA championship. 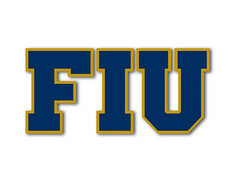 Definitely, the standard of FIU Athletics. Not 1, Not 2... But 3.. THREEPEAT!!! Swim Team making us proud..